It finally happened! My personal blog is online! I feel that some of my friends know that this blog should be online 5 years ago when I said "I need to create a blog, right now! ", but... you know... I'm too lazy. Being accepted at Google Summer of Code 2014 for working in the GNOME Project is the main motivation to create it once and for all. I want to thank Google and GNOME to give the opportunity to participate in this amazing project. 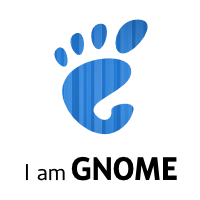 In this summer (winter in my case), at GNOME, I'll be responsible for helping to improve GNOME Maps to create the map application that GNOME deserves. My main task would be integrate Foursquare and Facebook social check-in features in GNOME Maps, that means strong work not only on GNOME Maps but in GNOME Online Accounts. Also, I'm going to put strong effort in refactor location markers to use the new GtkPopover widget and open the path to create a more content rich app. You can get more information about my project in the GNOME Wiki and of course, about all GSoC projects this year in GNOME (the page is a work in progress). Again, thank you GNOME for give me this opportunity!